America's number one citizen Ralph Nader's latest book shows us how unchecked corporate power has led to the wrecking ball that is the Trump presidency. 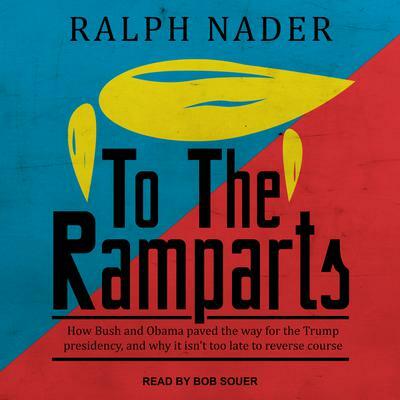 Nader brings together the outrages of the Trump administration with the key flaws and failures of the previous administrations—both Republican and Democratic—that have led our nation to its current precipice. It's all in the details, and Ralph Nader knows them all. Trump didn't come out of nowhere. Bush and Obama led the way. Writing as a Washington, D.C., activist and people's advocate for over fifty years—someone who has saved more lives and caused more impactful legislation to be enacted than almost any sitting president or legislator—Nader shows how Trump's crimes and misdemeanors followed the path of no resistance of the Obama, Bush, and Clinton regimes, which ushered in the extreme rise of corporate power and the abandonment of the poor and middle classes.